With the NxT, the sun is always at the tip of your fingers. 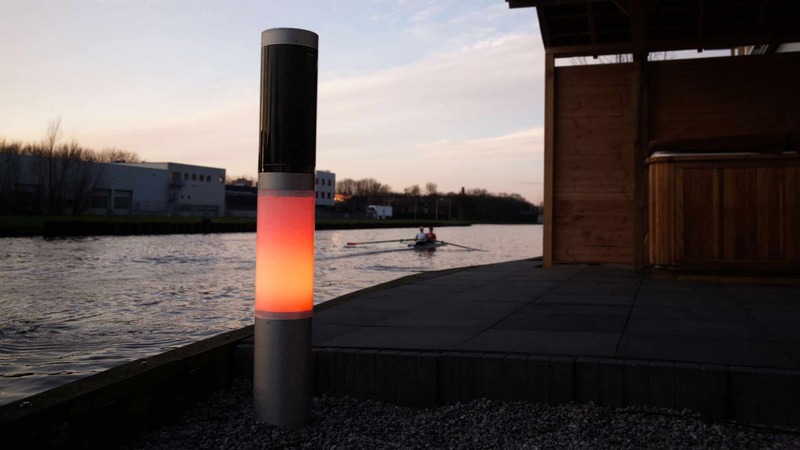 Powered directly by the sun, this next generation wireless solar lamp post offers unrivaled freedom and unique lighting possibilities. Configuration is key. The NxT’s user-friendly interface can arrange a rainbow-palette of colours from anywhere, at any time. No cabling implies total freedom in designing your personal lighting plan. NxT solar outdoor lighting suits your demands, regardless of where you install it. NxT solar outdoor lighting offers endless lighting possibilities. Depending on the model you choose, intensity, color, and special effects can be controlled online or on your smartphone. Want to keep it simple? The lamp post can be set to automatically adapt to sunset & sunrise, so you won’t have to flick a single switch. Sunlight is the lifeblood of the Nxt. The solar lamp captures it by day and stores it in a high-capacity integrated battery that powers the light for nights on end. Neither the environment nor your wallet will be affected when you leave the lights on. Designed to last and with recyclability in mind, the NxT solar outdoor lamp is the sustainable outdoor lighting choice. 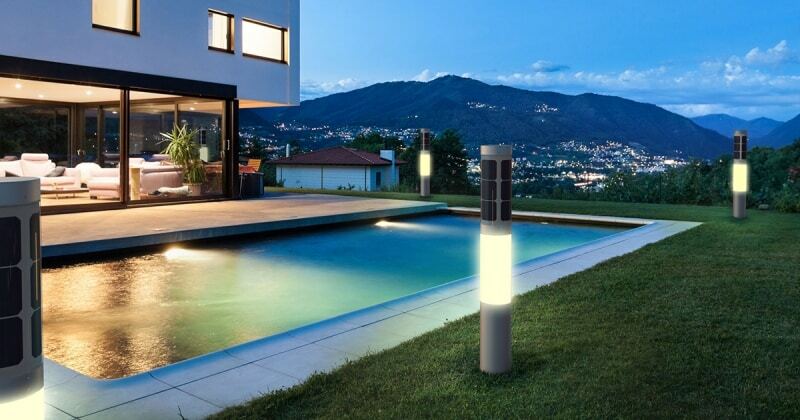 NxT solar outdoor lighting features cutting-edge technology. The solar cells used have the highest efficiency available on the market, and the NxT is the first ever consumer product that integrates these cells in curved solar panels. This unique diffuse glass light module spreads the LED light in all directions. The modular design allows you to tailor the NxT to your demands, with a variety of exclusive finishes and colors to choose from. 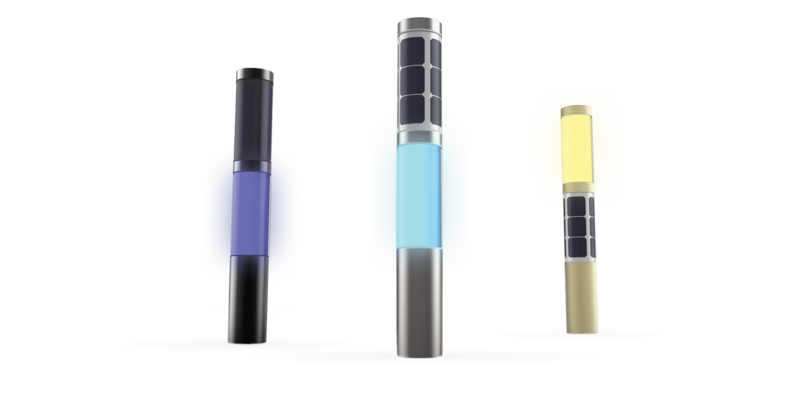 Advanced on-board electronics enable each solar outdoor lamp to continuously optimise its lighting scheme and adapt to the seasons and weather. With the seamless integration of home automation systems and wireless communication you can control your outdoor lighting however you want it to be. Manufactured in the same factory as our solar street light, the NxT combines industrial grade materials and technology with elegant and minimalistic design. As all of our products, the solar outdoor lamp is wholly designed, produced and assembled in the Netherlands. Installing NxT solar outdoor lighting is literally a matter of plug & play. Dig a hole wherever you want and plug the NxT in. It will then automatically start charging and is configured by default to turn on as soon as the sun has set. There’s nothing more to it. To personalize your lighting, you can configure a custom scheme in which you are able to set the timing, intensity, and colour of every individual NxT. You can even group several poles so that they can be controlled simultaneously. Is there a special occasion, or do you just feel the need to try something new? Switch to real-time control and design every lighting plan imaginable. Forgot to turn the lights off after a wild night? No problem, the NxT will do it for you by sunrise. The NxT Standard is the simplest solar outdoor lamp-model we offer. It has the same build quality and solar and battery technology as the more advanced models, yet has a more limited feature set. If white light and simple control are enough for you, the NxT Standard is the model for you. All models are available in a variety of exclusive finishes and colors, and can be custom configured. For example, you can choose whether you want the light module or the solar module on top, and different pole lengths can be supplied on request. The NxT Deluxe solar outdoor lamp offers endless lighting possibilities and seamless integration with Z-wave home automation systems. The light can match all the colors of the rainbow, show advanced lighting patterns, and interact with sensors or other devices in and around your home.